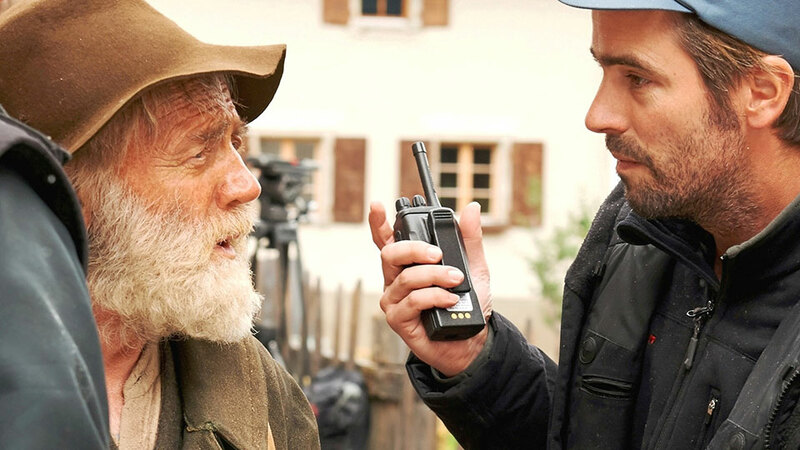 Director Alain Gsponer talks about bringing Heidi to the big screen. 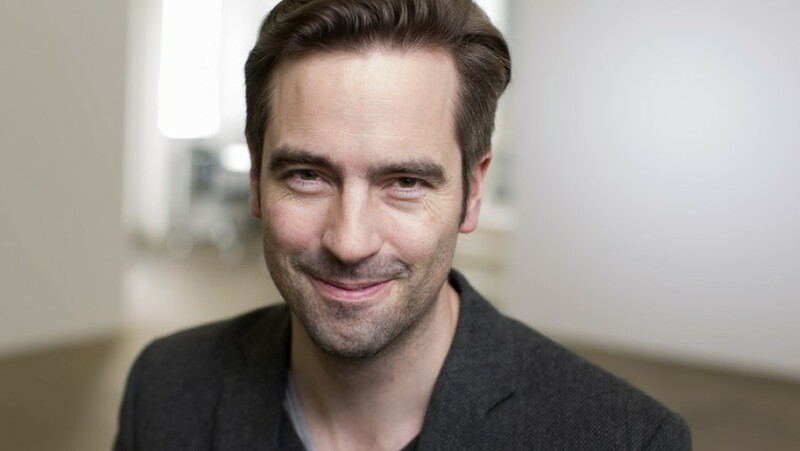 Alain Gsponer, who was born in Zurich in 1976 and grew up in Schinznach-Bad, studied at the renowned Baden-Württemberg Film Academy in Ludwigsburg. Before he started his studies, he was an employee at an art house cinema in Aarau, in Switzerland, and worked as a radio journalist. He completed his course in Scenic Film in 2002 with the medium-length film “Kiki & Tiger”, which won several awards (including the Audience Award at the Max Ophüls Festival) and was shown at many festivals all over the world. Alain Gsponer’s feature-length film debut was “Rose” (2005), a captivating tribute to a single mother starring Corinna Harfouch. The film won the German Television Award in the Best Film category in 2007 and was awarded the Eastman Advancement Award at the Hof International Film Festival. After “Rose”, Gsponer directed the “Polizeiruf 110” episode “Wie ist die Welt so stille” (2008) and the tragicomedy Das wahre Leben (2006), winner of several Adolf Grimme awards, with Katja Riemann, Ulrich Noethen and Hannah Herzsprung, who won the Best Supporting Actress award at the German Film Awards for her performance. Alain Gsponer adapted two books by best-selling Swiss author Martin Sute: the satire Lila, Lila (2009), starring Daniel Brühl and Henry Hübchen, and the TV production “Der letzte Weynfeldt” (2010), which won the Swiss Television Award in the Best Film category. 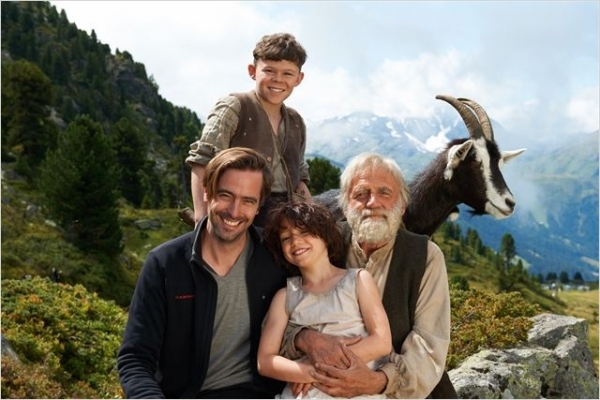 The film Akte Grüninger – Die Geschichte eines Grenzgängers was made in 2013 and in the same year Gsponer first worked with the HEIDI producers when he directed the live-action film adaptation of the classic children’s book Das kleine Gespenst (2013). This Otfried Preußler adaptation drew about a million people to German cinemas. Alain Gsponer is currently working on an adaptation of Ödön von Horváths Jugend ohne Gott. “Heidi” is a world-famous story that has already been made into a film several times. Did you sign up immediately when they asked you to direct it? I thought about it a lot when they offered me the film. The “Heidi” brand has often been misused and I did wonder if another film should be made. First, I read Johanna Spyri’s novels again and was extremely taken with them, especially the first one. There is so much in it. It is a really powerful social drama. One big factor that contributed to me accepting the offer was my father, who said: “Remember, this is not child’s stuff. It is an adult drama.” I have to add that my father was a goatherd when he was a child and grew up in the mountains like Peter. He knows this poverty and knows what the backgrounds in Spyri’s book are. This is why “Heidi” was never a children’s book for him, but a drama about an orphan. What relationship do the Swiss have to “Heidi”? As I said, I am very angry about the misuse of “Heidi”. This material is so precious and reveals a lot about Switzerland. On the one hand it says a lot about people and confinement. It tells us about Heidi, who was imprisoned by her aunt Dete, who is desperately unhappy after her parents have died. Until she comes to this place in the Alps where she can bloom in the great outdoors. Then we have someone who lives in the same place as she does, i.e. Almöhi, for whom it was much too claustrophobic in the little village, who had to leave this place because the villagers did not accept him, in order to find a little space for himself. And on the other hand there is Klara, who is imprisoned in her villa, which for all its size still radiates claustrophobia. Or the manservant Sebastian, who feels oppressed by the Alps when he takes Heidi back. So it is always about confinement and finding space for oneself. These are exciting and elemental themes. I think it is regrettable when the material is reduced to the idea of “Heidi and the ideal world”, which is something that happens frequently. What is it exactly that makes “Heidi” timeless, or even contemporary? A story about breaking away from the confinement and constrictions that one is forced into and about the search for a place that one can develop in is timeless in my eyes. How often are people forced into a place where they don’t want to be, determined by other people and social regulations? That is always relevant. To what extent did you get involved in the screenplay? Since I was asked about the project at a very early stage, I was able to comment on the first draught, which I was not involved in, very early on. Then came the close cooperation with Petra Volpe. A lot of what really mattered to me regarding this material was already in the first draught of the screenplay, and we added some further aspects. Small details were also important to me here. I wanted to thematise what it means to live in poverty, what exclusion from the village means for Öhi, what it means to be hungry or – as in Peter’s case – to lose a parent. I wanted to take these details seriously. We also took great care to be precise about life in the villa in Frankfurt, the table rites, the absolute circus of the serving procedure, the fact that the cutlery is different from today’s. I also thought it was important to show in the scenes at the Sesemanns’ house that they spent their lives living as if they were imprisoned and got relatively little fresh air, even the children. Instead, they brought the outside indoors. The wallpaper, the materials – everything portrayed some kind of natural image. There are always plants, trees and even animals on them. Everywhere. This imitated nature becomes a kind of cage in a villa. It was very important for me to show these social nuances. How did you prepare for the shoot? In my preparation, I occupied myself to a great extent with the motifs and locations and examining life there. I went to the Alps, of course, and tried to experience what it means to have no running water and to have to gather wood. Our family has a mountain cabin in Wallis, a region that has now been declared part of the UNESCO World Heritage and was built in 1904. I spoke with many people who know exactly, who remember what mountain life was like. Fortunately, I was able to find out many things by asking my relatives. Although Wallis is not Grisons, most of the things – how to handle goats, how to milk them and how milk was treated – were similar on the Alps. I conducted long and very in-depth research. At the same time, the Wilhelminian era in Germany also fascinated me, firstly because I live in a building constructed in that era myself and secondly because I was very interested in the architecture. And I realised that the way we live in these beautiful old buildings in the large cities has got nothing to do with the way things were before at all. For instance, these massive windows in the high rooms all used to be covered with dark curtains. While doing my research I went into buildings in which it was possible to imagine how life was in such rooms at the end of the 19th century. I wanted to feel what life was like. I found the picturesque, studio-like nature of the houses very interesting. How easy was it to find suitable locations? Apart from Maienfeld, Bad Ragaz and Frankfurt, no other locations are documented in Johanna Spyri’s novels. The alpine cabin is described as being “above Maienfeld”. That could mean a lot of things. So we had to find locations and a cabin that corresponded to the idea of this remoteness as described in the book. That is not so easy to find in Switzerland. We had to look for a very long time. The village of Latsch that we chose was the same one that appeared in the 1952 film. For the scenes in Frankfurt we had to look in the former East Germany because today’s Frankfurt could no longer have provided the setting. Historical shots from the time showed that the city centre was dominated by half-timbered houses and was pretty ghetto-like and dirty. The areas outside the centre were where the so-called “new district” came into being, where the Sesemann family reside: these were considerably grander and cleaner. We looked for these contrasts. Quedlinburg was ideal for the city centre and Halberstadt perfect for the Wilhelminian quarter. We found the Sesemann villa in Altenburg. You placed a great deal of value on the production design. We had to create spaces where there were no longer any. The biggest shock for me was to realise that there is hardly an Alp left in Switzerland where nothing is electrified. There are power lines all over the Swiss Alps. We could find a single Alp where there were no pylons to be seen in the background and there were even masts all around our mountain lake. We airbrushed them all out afterwards. The alpine cabin we had was not in its original state either. All these cabins, which are steeped in history, have been restored again and again. But on the other hand it is the case that the Alps up there are no longer being farmed. We had to make them accessible, stamping out paths and so on. I found creating this world a very special thing. It was equally important to find the right pictures for this beautiful “prison” in Frankfurt. What were the biggest challenges during the shoot? The “physical” things. Dealing with the animals was an extremely big challenge; you cannot train a herd of goats. The second big challenge was that we had a child who had to carry a film, on whose shoulders a great deal of responsibility lay and who had to be taken by the hand and guided for a long time. Nature also played tricks on us in Switzerland. We shot in the summer, i.e. during what is supposed to be the warmest time. But I remember it suddenly starting to snow at the top of the mountain one night. So we had to wait until the snow had melted and our Heidi then had to play outside in light clothing as if it was a warm summer. How did you react when you discovered that Bruno Ganz was going to play Almöhi? We wanted him. So I met with him to see if we would fit together – for me it quickly became clear that there was something there. The cooperation was something special. Bruno Ganz knows exactly what effect he has and how he comes across. It was only when we recently dubbed his voice in High German for the German film version that we realise how little text his part actually has. That means he has to function to a great extent using presence, effect and doing nothing. That requires a certain self-assuredness because something still has to happen on the screen. And Bruno Ganz has such a presence. That was brilliant, because you cannot really generate this expressive force as a director; the actor has to bring this with him. Niki Reiser, who composed the music for Das kleine Gespenst, has also written the music for HEIDI. The cooperation with Niki Reiser was very close. He came all the way to Berlin to see me and rented a room near my apartment in order to compose his music there. We also took some extreme paths in terms of the music. Initially, we wanted to concentrate on sounds taken from the traditional, local Swiss folk music, but we moved further and further away from this because this music is in major. And expressing Heidi’s emotions in major did not work. But in minor, we started to feel Heidi’s longing. So we had to depart from our rather egg-headed and conceptual approach. Moving towards the right music was then a very long process. Interestingly, I was told by the people in Grisons most frequently that “We don’t have any Dirndls and we don’t yodel”. It was essential for our HEIDI film that these two things did not appear. That is exactly the cliché that the people there hate most. It is a completely inaccurate picture. Heidi has got nothing to do with Tyrol or Bavaria. But the ‘Heidi’ brand has often been misused in this area. How does your film distinguish itself from the previous Heidi films? We take the times seriously and we take the book seriously. Of course there is an ideal world at the end of our film when Klara can walk again. But during the story we show a broken world, as it is described in Spyri’s book. We really went back to Johanna Spyri’s books, worked out the important aspects of this universal theme and also wanted to show that we can consider ourselves lucky to have overcome certain things that existed at that time, such as this poverty or the dark pedagogy that Fräulein Rottenmeier or indeed the teacher practised in Switzerland at the time. What had been your favourite ‘Heidi’ film before? I saw three Heidi adaptations when I was a child: the seventies live-action series, the anime series and the black-and-white film from the fifties. At the time I was very uncritical. I liked them all!